One of the nice things about the internet is that in a matter of seconds, you can determine that you have never had an original idea in your life. This is a process that used to take months, if not years. It doesn't matter if you think you have some wildly original idea. Even if you thought it up alone, on a mountaintop, in a lead-lined underground cave, with earmuffs on, using an abacus, one minute’s tarantella on google once you come back down will establish that a minimum of 49 other people have posted step-by-step instructions, a short YouTube video and a host of tweets regarding this item in the time it took you to take off your backpack. This is all going to work out to your advantage, dear reader. 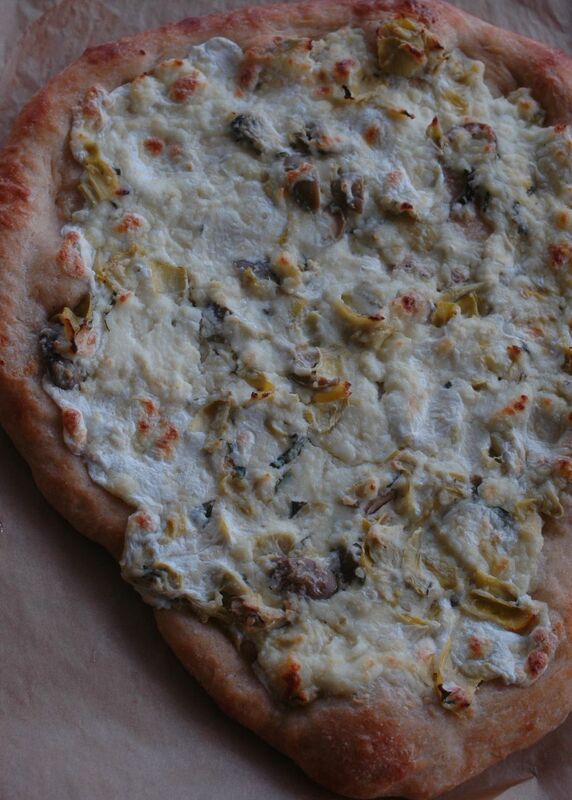 I used some of my milk glut from our party last weekend to make a batch of ricotta, and I had these artichoke and olive calzones to tell you about today, wherein I used the ricotta. But I kind of wasn’t going to emphasize that I made the ricotta. It still feels a little like the actions of a fringe-dweller, like the mention of it might cause some eye-rolling. Even though I made a really tasty soup with the leftover whey, and I wanted you to try that, too. Still, I was going to give it a low profile, this wacky, out-there making of cheese. Then I saw Food52’s feature on What To Do With Your Leftover Whey. Then I saw the New York Times Dining section was featuring Melissa Clark’s easy-peasy-this-is-so-mainstream-how-have-you-not-done-it-yet?-recipe for home-made ricotta. Then, for poops and giggles, I did a search on the interwebs for “make ricotta.” There may still be a few fringe-dwelling activities that I engage in, but cheese-making is no longer one of them. So I am just going to wait here a moment while you get psyched up to make a batch of ricotta. A HUGE undertaking (it will take you 30 minutes)! You need lots of exotic ingredients (milk and lemon)! Fancy equipment (pot, spoon, strainer)! Rest up, carbo-load, push fluids, off you go. 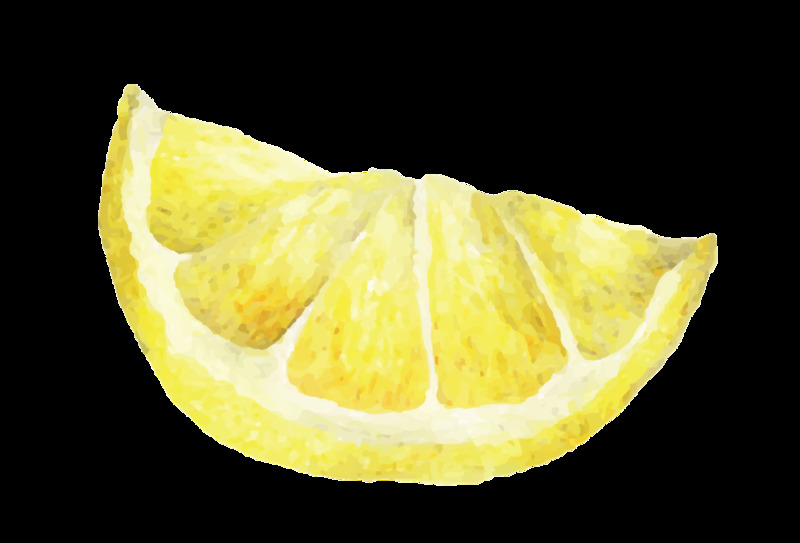 Use this excellent recipe, or check out the buttermilk vs. lemon juice debate here (with links to more recipes) or try this one—zounds!—that uses the microwave and makes the process even faster. Was that not so much fun? Snip, snap—you made cheese! You’re a cheese-maker. 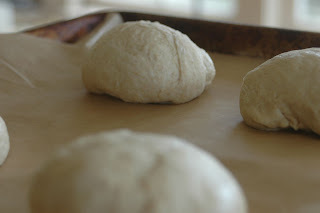 Now, about that pizza dough….well, there is a world of opinion out there beyond my own slightly suspect and subjective one that making your own is not a deviant or time-consuming activity. And we all know it is sold by the knob at every grocery store, too.It's entirely up to you, of course. But if you are thinking of making your own, now that you have that golden carafe of whey to play with the time is truly ripe. Just substitute it for the water, and remember that you are best off starting it the night before you want it. Then, all the next day, no matter what you are doing, you can be thinking "I am making pizza right now. Here I sit in this meeting, and yet, I am working on dinner at the same time." Preheat the oven to 500 degrees to bake the pizzas. I bake mine on a baking sheet, not a pizza stone, and the results are fine, so don't sweat the lack of a stone. I have no stone, I have no peel, and yet I produce a pizza. Combine the cheeses and the basil in a medium bowl. (Start with the lesser amount of parmesan, and reserve the remainder). Heat the olive oil in a pan over medium heat, and toss in the minced garlic. 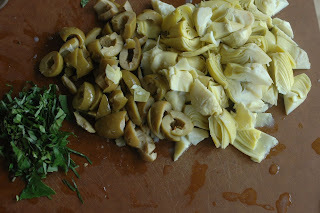 Stir once or twice, then dump in the preserved lemon, stir, then the artichokes and olives. Sauté until nicely fragrant, about two minutes. Remove from heat and let cool slightly. Mix into the cheese. Taste the mixture and adjust the flavor to your liking with more parmesan, a twist of pepper, and possibly some salt if your olives are not terribly salty. I used a mondo, slightly oily and extremely salty olive from the antipasto bar at the grocery store, and between those and the remaining salty items in the mix, needed no more salt. Roll out the dough for two pizzas. Divide the filling between the two crusts and, if you like, sprinkle any remaining parmesan on top. Bake 15 minutes or so, until the crust is nicely golden and the topping is dotted with golden spots as well. If you bake on a sheet, you can slip the baked pizza onto the oven rack directly for a minute, to completely crisp the bottom crust--but don't tell anyone that I do it, OK? It's one of those wacky workarounds that we all use privately but wouldn't want to get out.